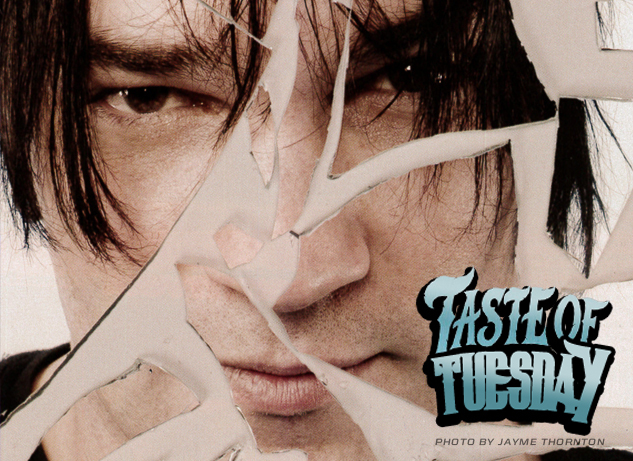 As the reactivated TOC begins its next chapter with a touring lineup of Dashboard Confessional, Taking Back Sunday, Saosin and many others, we'll be starting this weekly special “Taste Of Tuesday,” where we'll look back at the bands participating at the point of their original zeitgeist. This week, we’re rewinding to 2005, when REGGIE AND THE FULL EFFECT held nothing back in our interview. Frontman James Dewees talks everything from tattoos to divorce—and, of course, the music. James Dewees is talking to AP about the Kanji tattoos that mark his forearms, as we sit at Life Café in New York City. Endings are something the Get Up Kids keyboardist and frontman for Reggie And The Full Effect has gotten to know intimately: It’s possible that the Get Up Kids, the seminal emo band who put Lawrence, Kansas’ music scene on the pop-culture map, may be gearing up for their final curtain call following this June’s live CD and brief tour. Furthermore, last spring, Dewees decided to split from Megan, his wife of a year and a half, whose name provided the titles to the more tender tracks from Reggie’s previous discs, Under The Tray, Promotional Copy and Greatest Hits ’84-’87. But, true to the Kanji, out of those life-altering endings come new beginnings. Dewees hit the road as a member of New Found Glory (he played the keyboards on “Failures Not Flattering” from NFG’s recent Catalyst) during their fall tour with Green Day. 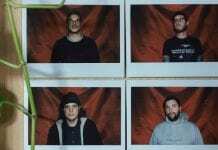 And where Get Up Kids commitments kept Reggie firmly in place as a side project, this spring offers Dewees the first chance to tour in support of a new Reggie CD as it’s released. So he’s doing just that – opening for NFG before hitting Warped, and then embarking on a headlining tour. But apart from new travel opportunities, there’s also a new direction for Reggie’s fourth album, the bluntly titled Songs Not to Get Married to. Welcome to the Understatement City. Population: Dewees. In mid-2004, he scrapped the songs he had been working on for the new Reggie disc and switched tracks, unloading every emotion someone experiences during a divorce into a cathartic, brutally honest 13-track sonic diary. The weighty issues tackled on the disc might surprise those familiar with previous Reggie fare. After all, former Reggie offerings, admittedly about “girls running away,” were mixed with skits from drunken fans and epic songs about how much Dewees loves food. He even brought his alter egos (Euro-trashy synth-poppers Fluxuation, Finnish death metalers Common Denominator and alleged former “cellmate” Paco) along for the ride. But on Songs, Dewees’ emotions range from poetic (the stripped-down ballad “Playing Dead”) to pensive (“Get Well Soon”) to straight-up pissed (“Thanks For The Misery”). But while the songs are darker lyrically, they still boast Dewees’ signature sound: lilting keyboards that tapdance across the stage built by chugging guitars, with more hooks than an elementary-school coat rack. The standout track, “Take Me Home, Please,” is a sunny confection about staying out a little too late with a good friend. (The genesis of the song comes from an actual late night in Miami, where Dewees performed at MTV’s Video Music Awards with New Found Glory. ) 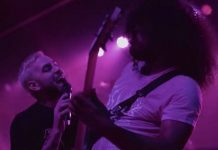 Elsewhere, Dewees nods to his roots in Kansas City metalcore legends Coalesce with the screamy vocal-cord ripper “The Trooth,” a hell-raising number about getting a tooth yanked. And, yes, both Fluxation and Common Denominator make a triumphant return on Songs. But Dewees is a man who bounces back quickly. He jokes about getting served with legal papers while at a party in his honor, thrown by Get Up Kids bassist Robert Pope. (“You know the movie You Got Served?” he cracks. “Well, I got serrrrrved.”) But the best proof? Some of the verbal windows into Dewees’ traumatic divorce have darkly humorous titles that self-effacingly mock his own situation. “There are songs called ‘What The Hell Is Contempt’ [and ‘What The Hell Is A Stipulation’] because I got woken up at 7 in the morning with a call from my attorney telling me I’m getting sued for contempt,” he says. “I don’t know for what. I still don’t know. And he’s like, ‘Well, if you don't do this, they can file for stipulations.’ What the hell is a stipulation? What have I done? I haven’t even done anything, She’s pregnant with someone else’s kid! I’m just trying to move on with my life.” For Dewees, “moving on” includes relentless touring. 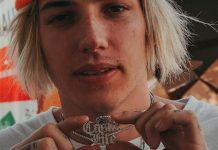 (“She’s got the house; I’m just going to stay on the road.”) It’s not a bad thing, if his tour with New Found Glory and Green Day are any indication. “After a show in Dublin, Billie Joe [Armstrong] took over the bar and bought us drinks. We [commandeered] the piano and they were playing Billy Joel songs. Billie’s singing and he jumped over a chair and started wrestling Jordan [Pundik].” And away from the NFG circus, Dewees promises the new Reggie live show will offer the same theatrical showmanship fans have come to expect, in spite of the heartending lyrics. “At this point, I’m more worried about the pitch of my voice than what I’m singing about,” he says. “We still have costumes.” The infamous screaming bear (plushie alums include Gerard Way from My Chemical Romance and NFG’s Chad Gilbert) will return. And, as noted, Fluxation and Common Denominator are back. Just not Paco.